Social media has become one of the best ways to connect with people throughout the world. It is truly one of the only platforms that allows for both individuals and businesses to easily connect with people with a click of a button. Although social media platforms were initially used to connect individuals on a personal level, many businesses and organizations have come to realize the power of social media on their ability to connect with their customer base and market their products successfully. Because social media platforms are so prominent, it is essential that all types of businesses, no matter how big or small, have some form of social media presence. In many ways, not having a social media presence on the Internet limits the ability of a business to connect to their customer base on a widespread level. This is particularly true for small to medium-sized businesses that are searching for effective ways to market their services to the general public. Affordability is one of the main reasons why small and medium-sized businesses should definitely consider incorporating social media into their marketing strategies. 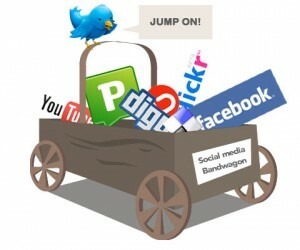 Social media is one of the few marketing platforms that is actually free for everyone to use. Such social media websites as Twitter and Facebook are readily available to the public, and anyone can open up an account for free. This is definitely something that small and medium-sized businesses should take advantage of in order to increase their Internet exposure and customer base. One of the biggest concerns with both small and medium-sized businesses is their marketing budget. Unlike larger businesses, small and medium-sized companies usually don’t have the larger marketing budgets which will allow them to connect to the general public in a variety of ways. Thus, social media provides small and medium-sized businesses with a marketing advantage that is quite affordable. The ability to network successfully is another reason why small and medium-size businesses should definitely consider obtaining a social media presence. Social media has definitely changed the way people connect with each other. No longer is it necessary for people to personally know each other in order to form relationships. Social media makes it more acceptable for people to reach out to others that have similar interests or resources they would like to share. This is definitely something that small and medium-sized businesses can take advantage of when marketing their services. Numerous businesses have been able to expand their own companies by forming relationships with other companies that they have connected with through social media platforms. Finally, the interconnectedness of the various social media platforms makes them perfect for marketing. While there are numerous types of marketing techniques available to help small and medium-sized businesses promote their products and services, many social media platforms are designed to work together in order to increase connectivity. For example, a business that wants to connect with both Facebook and Twitter followers simultaneously can do so without having to post to both platforms separately. Each of these social media platforms allows the user to create one post that can be shared across various social media platforms. This is an excellent marketing strategy that can help small and medium-sized businesses connect to a greater number of individuals that use an assortment of social media websites. In all, the necessity of possessing a social media presence for businesses cannot be underestimated. The ability to use various social media platforms to connect to a large number of people with little effort and without breaking the bank is definitely something that most small and medium-sized businesses can definitely appreciate.